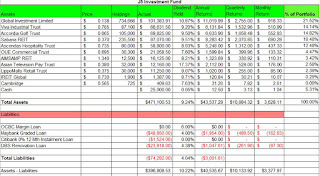 I just want to update another investments that I have made. I have bought 80,000 shares of Ascendas Hospitality Trust at $0.73. I have a chance to buy it at a cheaper price but I didn't so was quite upset with myself. Moreover, at this price, it may be a little bit on the high side. This is quite a surprise as well as I wasn't really considering this until I see their report. Moving forward, I am still looking at those counters which I have mentioned earlier with an addition of Fraser Commercial Trust. 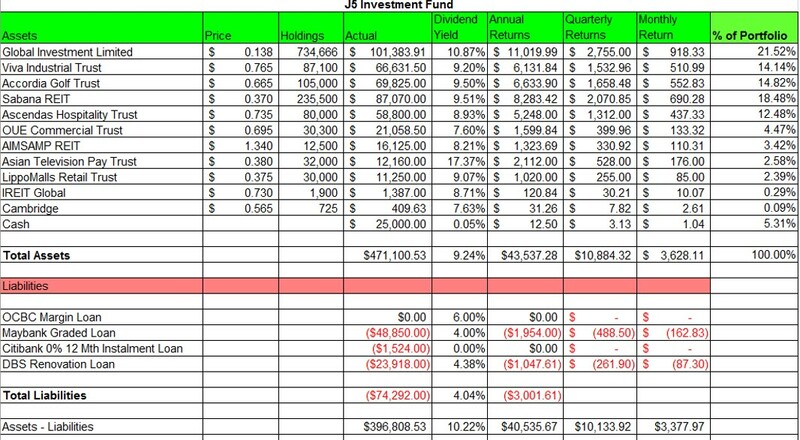 Likely I will do one more trade soon to complete my investment plan. Moreover, I will be transferring some cash to my Maybank KE Margin account to lower my interest payments. With this, I have increased my monthly returns potentially to about $3,300 which is used to supplement my household income. It is just like renting out another property. :-) Or having an additional virtual person to work for us. Hi, just out of curiosity, I am surprised that you didn't pay off the Renovation loan at 4+%. I thought that interest rate is rather high in today's context. Any reason? Hi! lippo mall is currently trading very near to 1.0 on its price/book ratio. Would you consider to hold or sell it off? hi! since lippo malls is now trading nearly 1.0 price/book ratio, would you sell your current holdings?